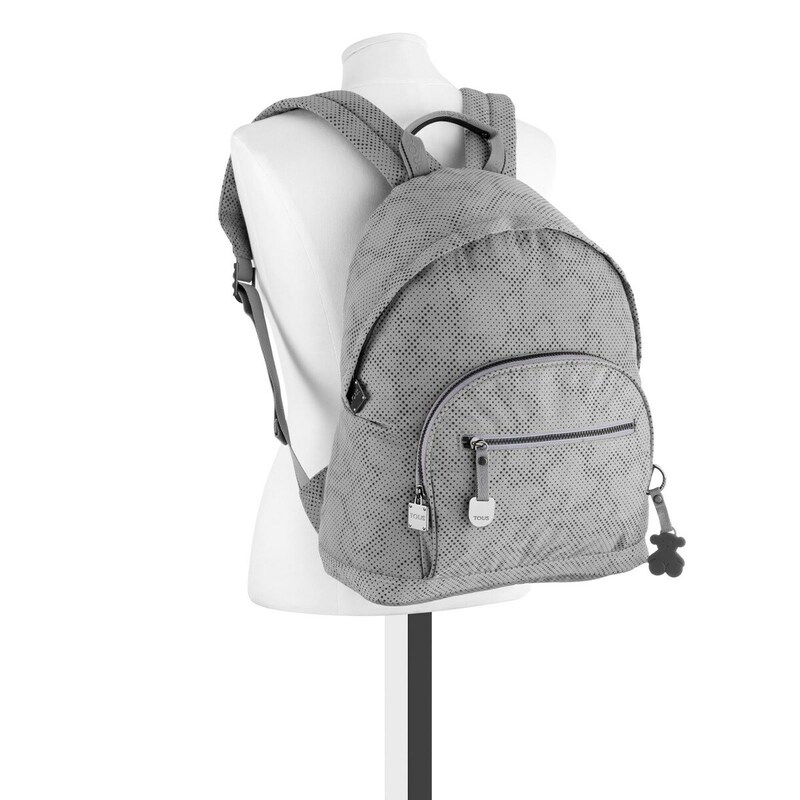 TOUS Kaos View collection backpack. 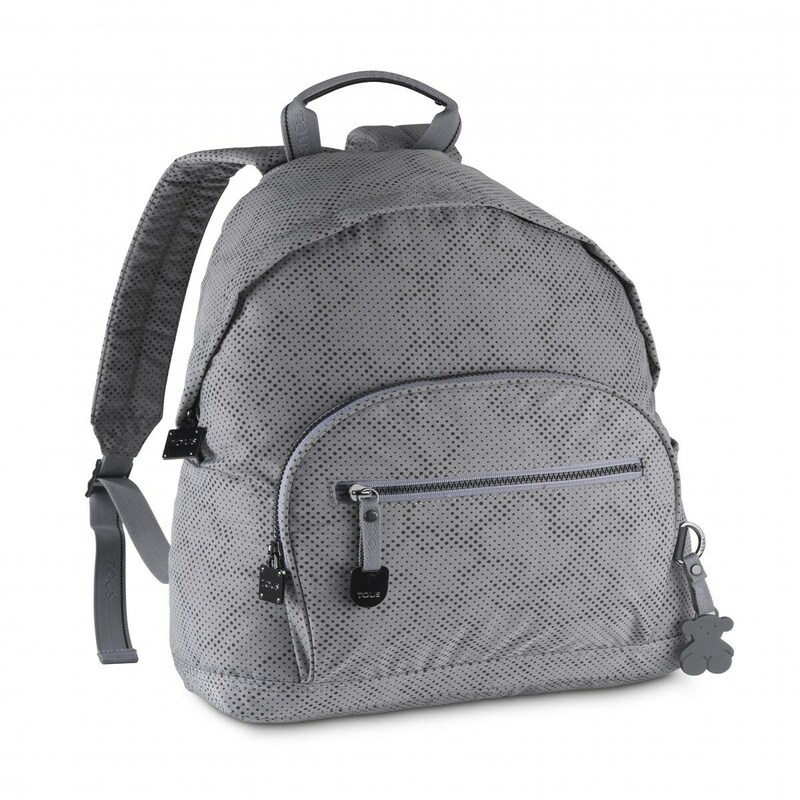 Water-resistant nylon combined with calfskin leather and patent leather finish. 41cm x 31cm x 14cm.